Having a party without music is like having a body without soul. 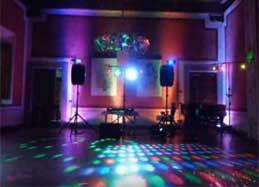 Professional DJ is of utmost importance to synchronize the mood of all guests and create every parties flow. Our DJ's music will provide your celebrations with the required rhythm and pace it needs to be embeded in the memory of your esteemed guest for a long time to come. Our DJ's charming enigma and pulsating music is all set to rock your event and set the spirits of your guests. Divine Caterers & Event Organisers offers a complete solution to a DJ experience with excellence in quality, service, and professionalism. 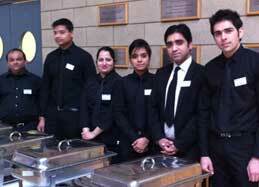 We are one of the leading Caterers and Event Organisers in Delhi/Ncr. We offer excellent Catering and Event Management Services designed and customized as per the exact requirement of our clients, be it large institutions, clubs, corporate houses, hotels, private parties, etc. The services offered by us are not just highly reliable, but well delivered too and can actually be availed at a very short notice. Quality, reliablity & affordablity has gained us widespread popularity among our clients in Delhi, Noida, Gurgaon as well as Ghaziabad. 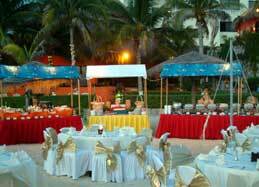 We offer a vast range of services which can basically be categorized as tentage, catering and event management services. You can rely on us to serve you most efficiently and reliably, be it any occasion. We take care of each and everything required to make your event a tremendous success, be it Tent Erection, Lighting, Floral Decorations, Sound Systems, DJ, Dance floors, etc. for occasions such as Weddings, Receptions, Private parties, Family Functions, Birthday Celebrations, Corporate Meeting, Entertainment Nights, etc. We have been catering to Corporates as well as Individuals of Delhi, Gurgaon, Noida as well as Ghaziabad with utmost care and expertise. 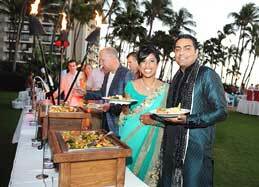 Right from fairy-tale Weddings to Corporate Meetings & Events, we take pride in creating one-of-a-kind event that offers an incredible value and indelible memories to our esteemed clients. In a highly competitive industry like ours, it is impossible to sustain for over 20 years without being exceptionally good at what you do. Yes ! We have just crossed the 20 Year mark in the business of Catering and Event Management.